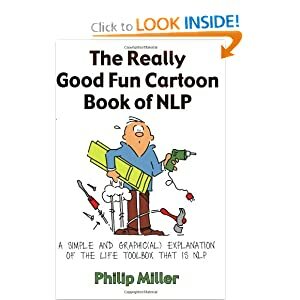 If you want to understand NLP in a easy and fun way, this is the book to read. It has cartoon that help me visualize plus there are not much technical terms involved in the book. building rapport – communicate with people / each person is different thus there are argument so learn to appreciate and respect. afterwhich the books goes in details in a lighthearted manner, although the material is light, it makes me think deep. I would like share what have I learn from the book. As you all would know in the previous post, I was thinking if I should be taking CFA, CAIA, or CFP. After much consideration , there was no action. But after the book I took my action. It was the part on choices, there are many ways you can look a problem, either half full or half empty and of course when you make a decision – Believe it. In my case, I been thinking that CFA is difficult, I was worry that I may fail, but the thing is if I keep on thinking that I will not do well, I really will not do well because my mind is not able to determine what is negative. So I MUST PASS, I PASSED. After I Passed I will excel my career with it. Beside these, there are are some exercises that are for the readers. For example, write a postcard to yourself. Think how is it like in 5 years time, where are you, what are you doing – start with the end in mind. Then write another postcard, this time 10years into the future. The exercise I like most is this, think and write down what you really want.